← $2 Tuesday, a Sneak Peek and a chance to WIN! 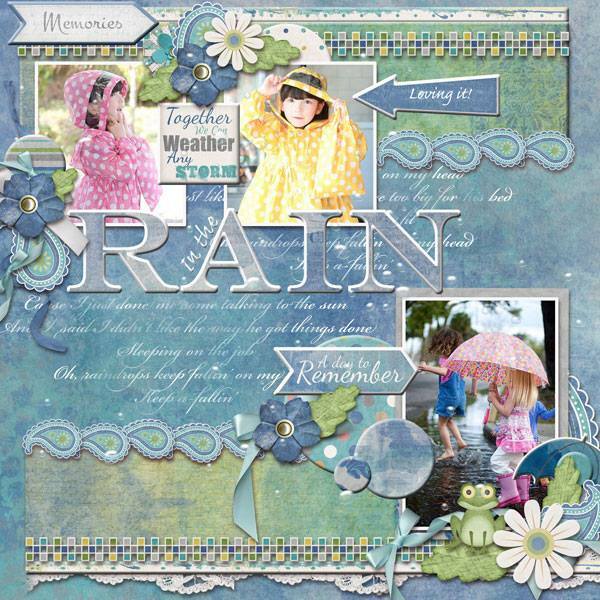 You can purchase this lovely digital scrapbooking kit at Cindy’s TDC or PDW stores. I don’t know about you. I’ve had one of those days weeks where everything is going wrong and you just want to hide away and cry. This kit is perfect for scrapping those moments. Not every moment is perfect in life but all should be scrapped! Don’t stop there though. I LOVE weather. All kinds. Including rain. There is such beauty in it. I know there are people out there that hate it just as much as I love it. Puddle jumpers and rain drop dodgers. 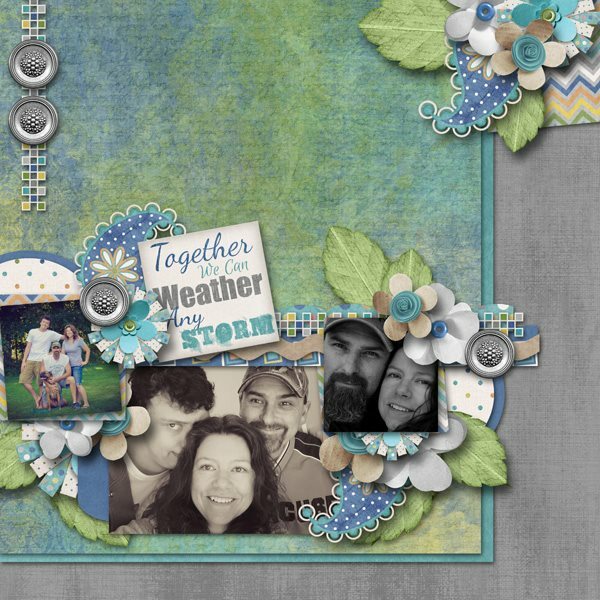 This digital scrapbooking kit is for you! Don’t take my word for it. 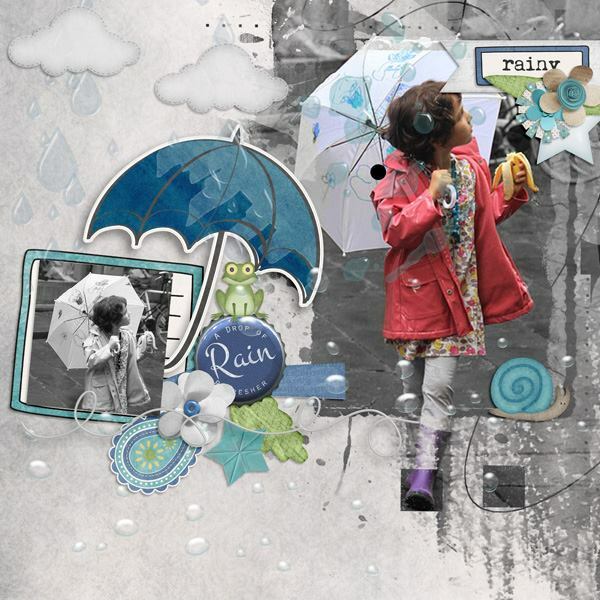 Here are just a few of the layouts that Cindy’s talented team made using this kit. You can check out more in her galleries. We would love to see yours there! Let us love on your layouts! Those galleries are at TDC and PDW. Here are those beautiful layouts I was talking about. Guess what?! There is a freebie for you. To add to your layout using this kit or get a taste of the beautiful kit. Click HERE or the image to download. We look forward to seeing your layouts. Happy Scrapping!! 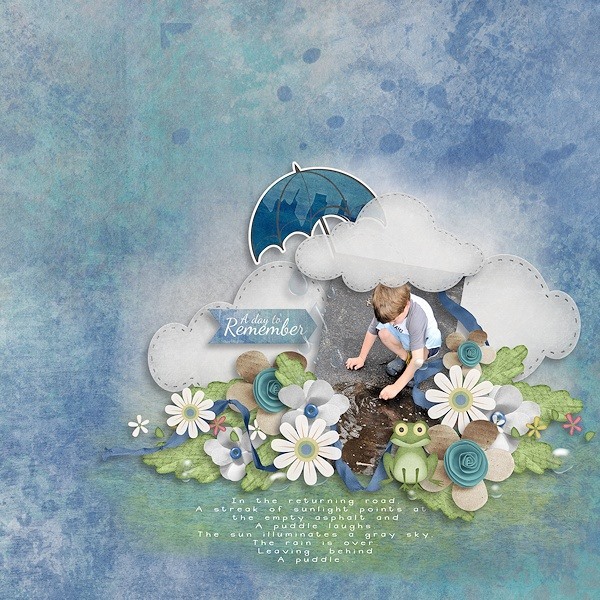 This entry was posted in Design News, Digiscrap, Digital Scrapbooking, Freebies, New Releases, Plain Digital Wrapper, The DigiChick and tagged Free With Purchase, New Release. Bookmark the permalink.